We look ahead to the trip to Motherwell. The Dons return to action after the international break and enter their busiest period of the season so far. Between now and the end of 2018, The Dons will have ten fixtures and it all starts with a trip to Fir Park to face Motherwell. 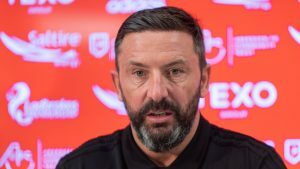 Derek McInnes today said that all eyes were on Saturday before attention turns to the Betfred Cup Final at Hampden next Sunday and it gives his team the chance to continue the good form that has seen a rise in the table after four successive wins. Last time out Gary Mackay-Steven’s only goal provided the points and a similar scoreline would put the reds in good form heading to Hampden. Motherwell come into this one on the back of a very difficult afternoon at Ibrox as they were beaten 7-1 by Rangers. The Steelmen currently lie in 9th place and eleven points behind The Dons. Before the Rangers match Stephen Robinson’s side won two in a row and will be looking to get back to winning ways against a side they beat three times last season including both cup semi-finals. 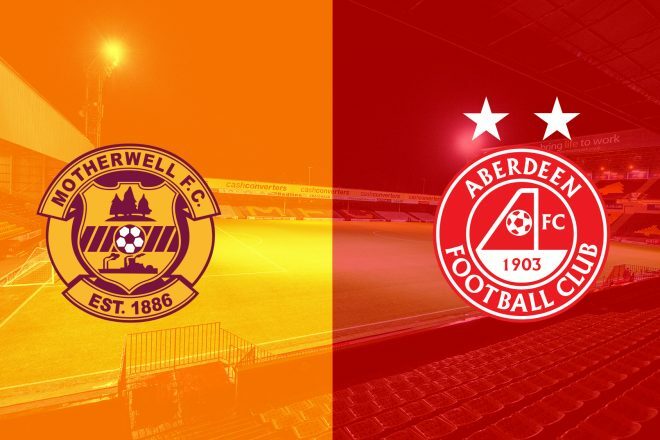 Motherwell and Aberdeen share identical records when facing each other at Fir Park in the league with 47 wins each and 40 draws. The Dons have won their last three league visits winning both 1-0 and 2-0 last season and under Derek McInnes boast a good record of six wins, one draw and one loss. It’s a fixture that often produces goals and the last goalless draw between the sides in Lanarkshire came in January 2005. The first meeting between the sides this season saw the Pittodrie faithful properly introduced to their new number nine. It only took James Wilson six minutes to open his account on his home debut after being slipped in by Niall McGinn. It proved to be the only goal of the game as The Dons grabbed a welcomed three points. It’s no surprise to find out that the highest scoring match between the sides is the famous 6-5 game from 1999. 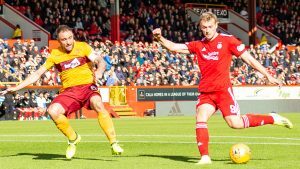 The Dons were chasing their first three points of the season having made an abysmal start and went to Fir Park on the back on a 7-0 thumping at Celtic Park. Ebbe Skovdahl’s side took an early lead thanks to Andy Dow and were two up through Robbie Winters five minutes later. Well would pull one back, but Aberdeen raced into a 4-1 lead through Winters and Jess only to be pegged back on half time. Winters would complete his hatrick before the hour mark that had the travelling support believing in that win. They were forced to wait as back came Motherwell yet again, but Paul Bernard made it 6-4. Incredibly there was still another half an hour to play and the hosts fired back from the spot to set up a dramatic end. Fortunately, The Dons held on for a famous victory as they claimed their first points of the campaign. That scoreline was an SPL record that stood for eleven years before Craig Brown’s Motherwell side mounted an incredible comeback from 6-2 down to share the points against Hibernian. “The past few weeks have been good. We had the Semi-Final victory, here at Hamilton then winning against Kilmarnock and Hibs that took us into international duty. We enjoyed our wee break, a few of the boys went away and I went away with the U20s. It’s now Fir Park tomorrow, which is a tough venue and Motherwell suffered a heavy defeat at Ibrox a few weeks ago so I’m sure they’ll be looking for a big reaction and we’ll be prepared for that. I think we’ve got enough quality in the likes of Gaz, Niall and Willo that can go and win the game for us. Read what else Lewis had to say ahead of the trip to Fir Park here. 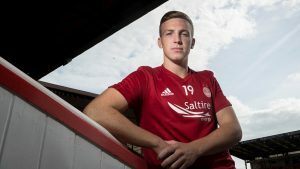 Derek McInnes confirmed in his press conference that Michael Devlin was ruled out of Saturday’s match and has a lot to do in order to make the Betfred Cup Final next weekend. The defender was forced to withdraw from the Scotland squad last week having pulled up in training and faces a difficult task to make the match at Hampden. Frank Ross and Tommie Hoban are long-term absentees, but the manager did confirm that Mark Reynolds is ahead of schedule and could return to training by the middle of Jamuary after a long lay off. If you can’t make the game make sure to tune into RedTV at 2.45 for live audio commentary from Fir Park. International subscribers will review video footage courtesy of our colleagues at Motherwell TV and post-match we will have reaction, highlights and goal action. 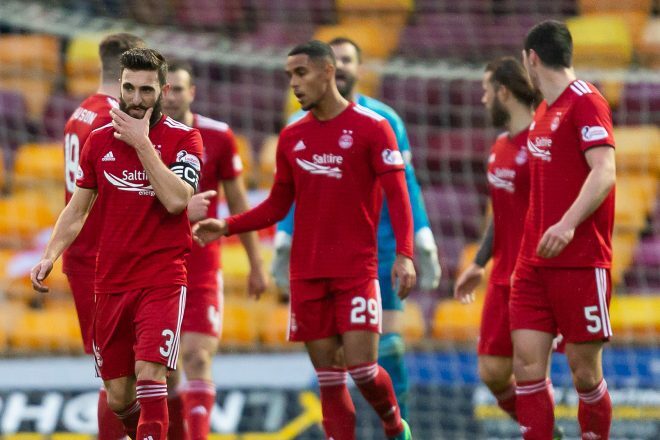 Aberdeen’s winning run came to a thundering halt at Fir Park this afternoon as Motherwell ran out comfortable winners. Derek McInnes made just the one change for this afternoon’s visit of Fir Park. The injured Michael Devlin was replaced by Andrew Considine in a straight swap. In the first minute Danny Johnson was able to turn on the edge of the area and get a shot away but his effort was always going well wide. On three minutes a lose pass by Peter Hartley was picked up by Mackay-Steven. Gary, despite slipping showed good feet work to beat a couple of players and then play the ball wide to Stevie May. From a tight angle the striker forced Mark Gillespie into a smart stop. A minute later Curtis Main dragged a shot wide. After a fairly scrappy opening ten minutes, GMS produced a good bit of quality down the right but his cross was well taken by Gillespie. Motherwell then enjoyed more of the possession without really troubling the Dons defence although that might have been different if Bigirimanu had controlled a cross when on space on the edge of the area. There was not a lot of quality on show as both teams were guilty of a number of slack passes. In the 20th minute McGinn dropped his shoulder to beat his man before putting over a dangerous cross which was half cleared. Max Lowe picked the ball up at the back of the area and his clever cut back found the on running Shinnie but he did not get a proper connection with his shot and the ball bobbled wide. The first real chance of the game and the skippers reaction revealed that he knew he should have done better. In the 24th minute Lowe forced the first corner of the afternoon. GMS and McGinn tried to work a short one but got it horribly wrong. Well broke and had a two on one. Logan looked as if he had salvaged the situation when he forced Danny Johnson wide, but the striker was able to cut back inside before dispatching the ball past Lewis. A goals go, this was an incredibly poor one for Aberdeen to lose. The Dons have fought back well this season from this situation. Not today. However they were almost level a few minutes later when Lowe’s low cross picked out Wilson but like Shinnie he could not connect properly with his first time shot and the ball went over the bar. Both chances should have been taken and could have made a massive difference to the way the afternoon unravelled. On the half hour mark a mistimed tackle gave Motherwell a free kick 30 yards out. As everyone waited for a cross Bigirimana tried to beat Lewis at his near post and he very nearly did. The keeper scrambled across to make a smart stop but from the resulting corner Johnson was able to head the ball past the Dons keeper at the front post area. Another soft goal from the visitor’s point of view. On 36 minutes a McGinn cross almost found May as Aberdeen tried to find a way back into the game. Then Lowe forced Gillespie into a decent save with a low drive before McKenna missed the ball trying an acrobatic effort after Considine had half won a header from a corner. Aberdeen then forced a number of set-pieces but again the short corners did not lead to anything. It had been a very lack lustre first forty five minutes and Aberdeen had paid the price. During the interval Sam Cosgrove replaced James Wilson who appeared to be struggling after talking a knock. Aberdeen won a corner early on but Gillespie claimed it despite being put under pressure. On 50 minutes Lewis Ferguson won a free kick 30 yards out, which he took himself but the ball sailed harmlessly into the arms of Gillespie. The Dons day was about to go from bad to worse. Curtis Main got away with a barge Considine but as the play developed the Dons looked to have retrieved the situation inside the area until a lose Lewis Ferguson pass was picked up by David Turnbull and his low shot found the net. In the 62nd minute Stevie May was replaced by Scott Wright. Motherwell were now playing with confidence and well and truly dominating the midfield battle. Aberdeen were trying but could not get anything going at all. A Scott McKenna shot from 35 yards which sailed into the crowd was the only effort on goal. On 71 minutes Motherwell should have added a fourth but Hartley with a free header from a corner failed to hit the target. No one had tracked his run. With fifteen minutes to go Main pushed Wright over, play was allowed to continue and Aberdeen should have had a penalty went GMS was fouled in the box. It would have been nothing more than a consolation. Bruce Anderson then replaced McGinn. With ten minutes to go Lewis saved well from Grimshaw. Scott Wright had a decent run but his shot did not match the quality of the run. In the closing stages Lewis Ferguson was booked, his frustrations were clear to see. He was one of the very few Aberdeen players to get plus marks today. The Motherwell keeper did have work to do in added on time when he saved well from a Scott Wright shot. Considine then might have done better from the resulting corner but his header was straight at Gillespie. The contest was over long ago, and the final whistle put Aberdeen out of their misery. The Dons worst performance of the season by far. Not ideal preparation for a cup final.